The first time I tried basil seeds was at a roadside soy milk stall. These soy milk carts sells hot bowls of soy milk with your preferred toppings, like agar jelly , tofu skins, boiled barley seeds, and of course the soaked basil seeds. At that time, I didn’t know they were seeds and wasn’t quite sure what I’m suppose to do with them. Do I chew them or what ? Later on I read that these seeds were good for aiding in weight loss and for people with problems with constipation. Preparing the drink is pretty easy. 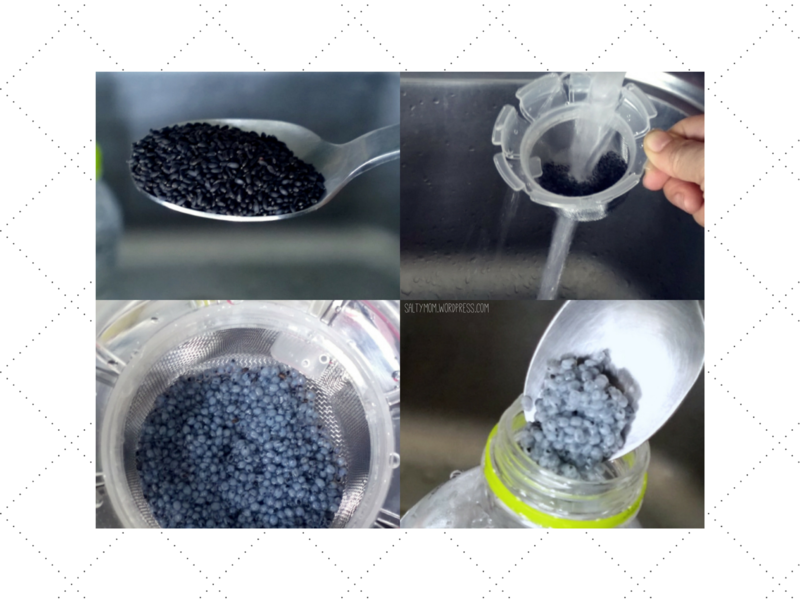 Add 1-2 teaspoon basil seeds into a tea strainer, wash them well. Once they contact water, they’ll puff up into little slimy balls instantaneously. Wash them some more and spoon them into a bottle of water. Then let them fully expand for about 30 minutes. The soaking part is important because if they are not fully expanded, they will continue to do so in your body, absorbing the water inside you and end up giving you constipation ! 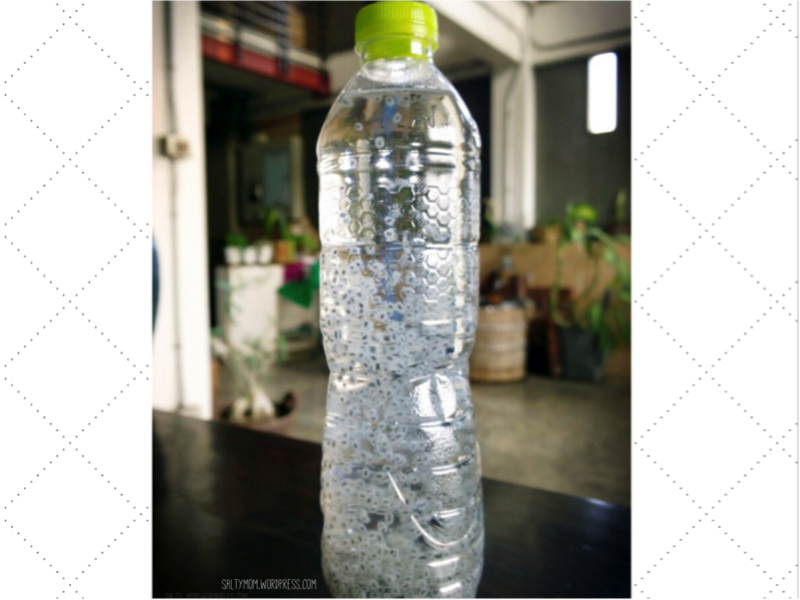 The seeds tasted bland while adding an interesting texture to the plain water. I know they look a bit gross. Some said they look like frog eggs though I think they look more like tiny eyeballs. But hey, a fibrous drink that looks like a science experiment and helps in weight loss ? Can’t pass that up !